It sounds like another big hit to me. 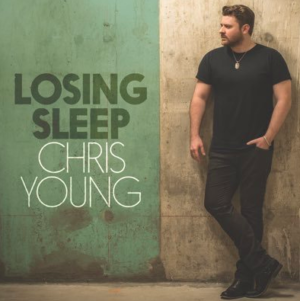 After three straight number ones, Chris Young is moving on to a new album. I thought he might release one more single from that record, but it’s been about 18 months since the album was released. And most albums are usually on an 18-24 month timeframe. So the release of this new single makes sense timewise. And when you land a song like this new one you also might have to change your plans. Sometimes you’re excited and want to get it out there to the fans. Chris has been one of the masters of being able to fit his traditional sound with modern sounds. This one kind of has a little Sam Hunt vibe going on. It’s even there in a couple of the lyrics, but Chris makes it work for his style. The production might be a little slick, but that’s what’s working in country right now. The song has a couple things I’m still thinking about. It seems to be about a couple that’s having a pretty lustful evening. They’re thinking about good they are together and all that kind of stuff. There are just a couple lines making me think that maybe they’re also wondering if they’re losing when they’re losing sleep. Can’t figure it out just yet. Chris has become one of the most reliable hitmakers in country the last decade. He might be a little underrated as an artist. I appreciate him finding his place as a traditional artist in today’s country.